Maa Parvati insisted that she may be told that secret. For long Shiva ji continued postponing . Finally on consistent demand from Maa Parvati He made up his mind to tell the immortal secret . He started for lonely place where no living being could listen it . He choose Amarnath Cave . In preparation to that He left His Nandi ( The Bull which He used to ride ) at Pahalgam (Bail gaon) . At Chandanwari He released Moon from his hairs (Jataon). At the banks of Lake Sheshnag He released the snakes . He decided to leave his Son Ganesha at Mahagunas Parvat (Mahaganesh Hill ) . At Panjtarni, Shivji left the Five Elements behind (Earth , Water, Air , Fire and Sky) which make living being . He is the Lord of these elements. It is believed that as a symbol of sacrificing the earthly world , Shivaji and Maa Parvati had Tandav Dance . 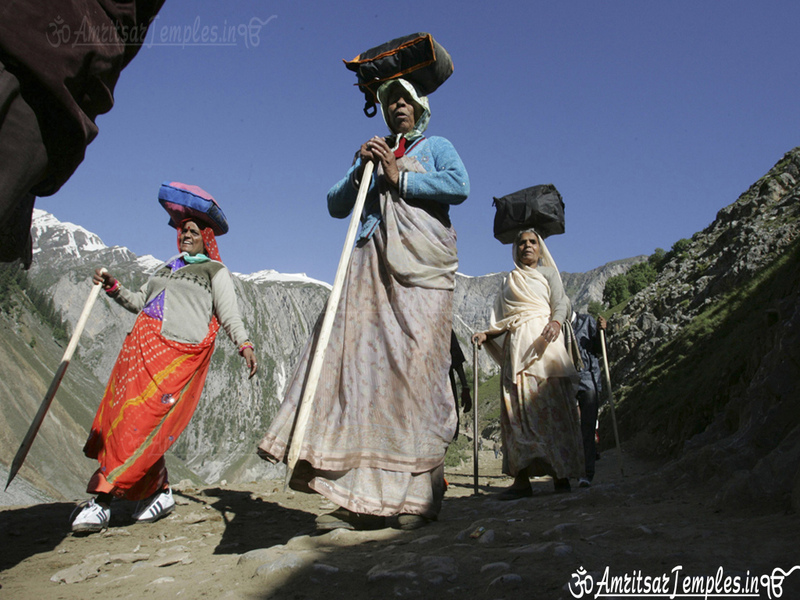 After leaving behind all these, Bhole Shankar enters the Holy Amarnath Cave along with Parvati Maa . Lord Shiva takes his Samadhi on the Deer Skin and concentrate . To ensure that no living being is able to hear the Immortal Tale , He created Rudra named Kalagni and ordered him to spread fire to eliminate every living thing in and around the Holy Cave . After this He started narrating the secret of immortality to Maa Parvati . But as a matter of chance one egg which was lying beneath the Deer skin remained protected . 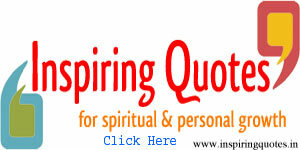 It is believed to be non living and more over it was protected by Shiva -Parvati Asan (Bed) . The pair of pigeons which were born out of this egg became immortal having listened the secret of immortality (Amar Katha). 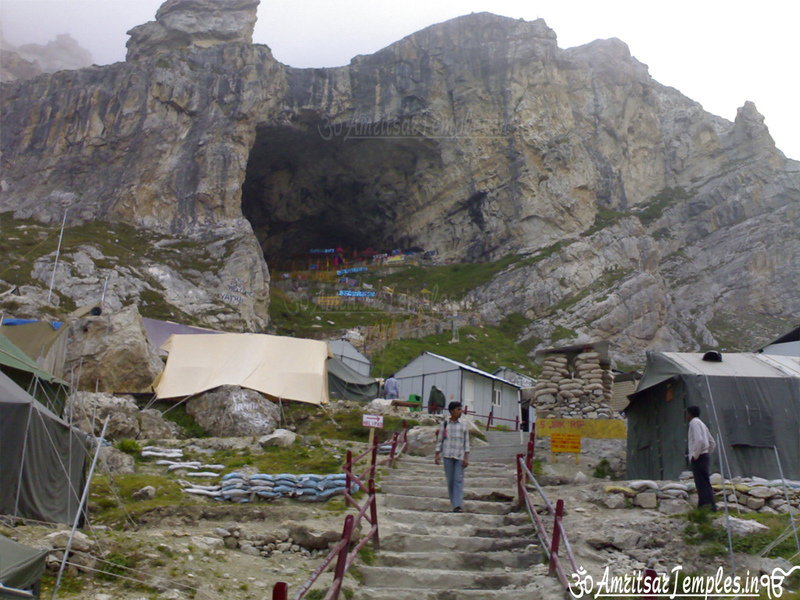 The story narrated by people about the discovery of this Holy Cave is of a Gujjar ( shepherd) Buta Malik . He is given the credit of discovering this Holy Cave . Story goes like this , that a saint gave Buta Malik a bag full of Coal. On reaching his home when he opened the bag , to his utter surprise the bag was full of gold coins . This made him overwelmed with joy. He ran to thank the Saint . But, what he found was that the Saint had disappeared . Instead , he found The Holy Cave and Shiv Lingam there in . He announced the discovery of this to the Villagers. Then onwards this has become the sacred place of Pilgrimage . The ancient epics narrate an other story which goes like this. The valley of Kashmir was under water .It was a big lake. Kashyap Rishi drained the water through number of rivers and rivulets . 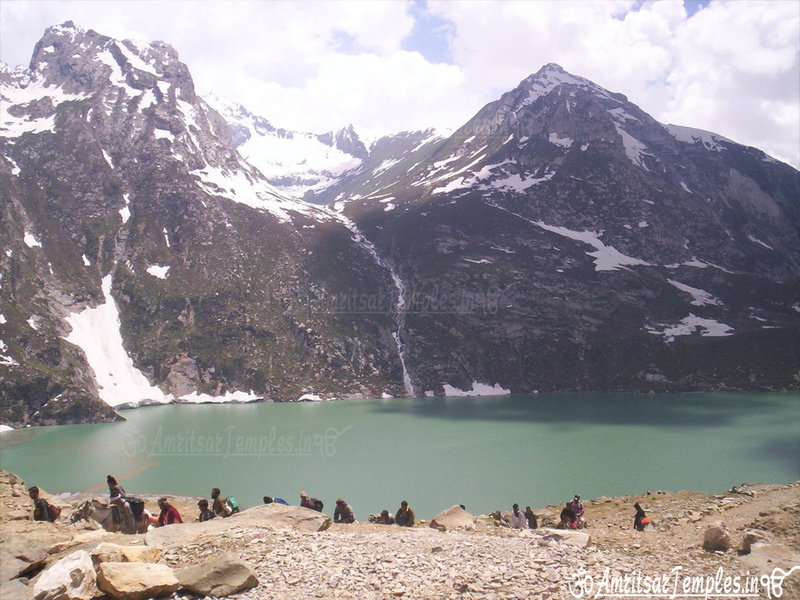 In those days Bhrigu Rishi came that way on a visit to The Himalyas. He was the first to have Darshans of this Holy Cave . 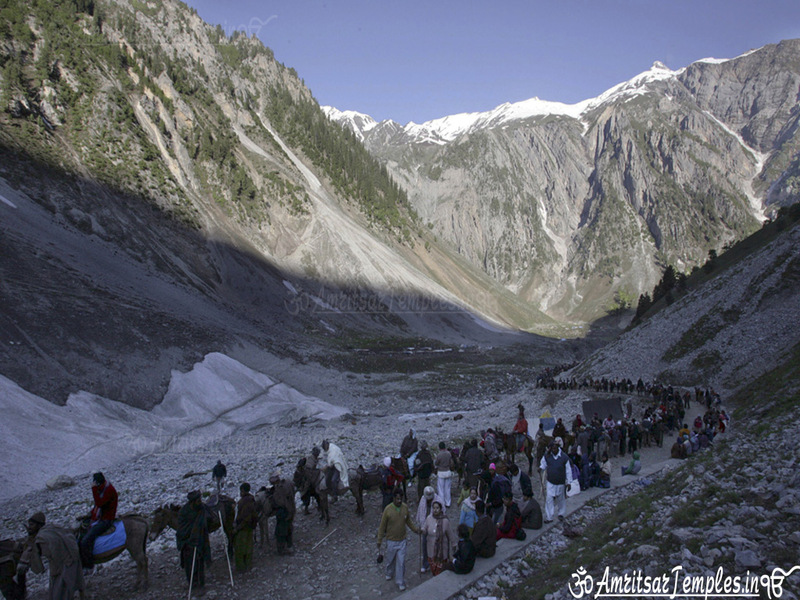 When people heard of the Lingam, Amarnath for them became Shiva’s abode and a Centre of pilgrimage . 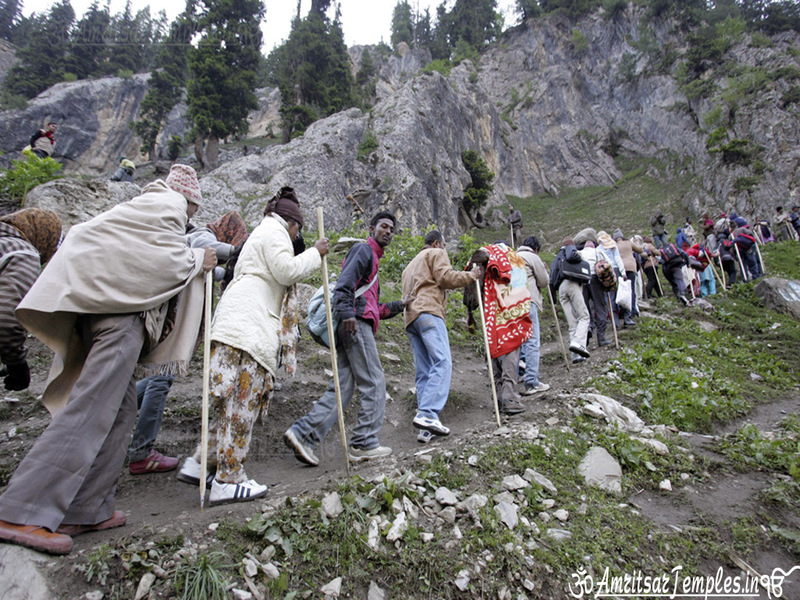 Since then Lacs of devotees perform the pilgrimage through tough terrain and avail eternal happiness. 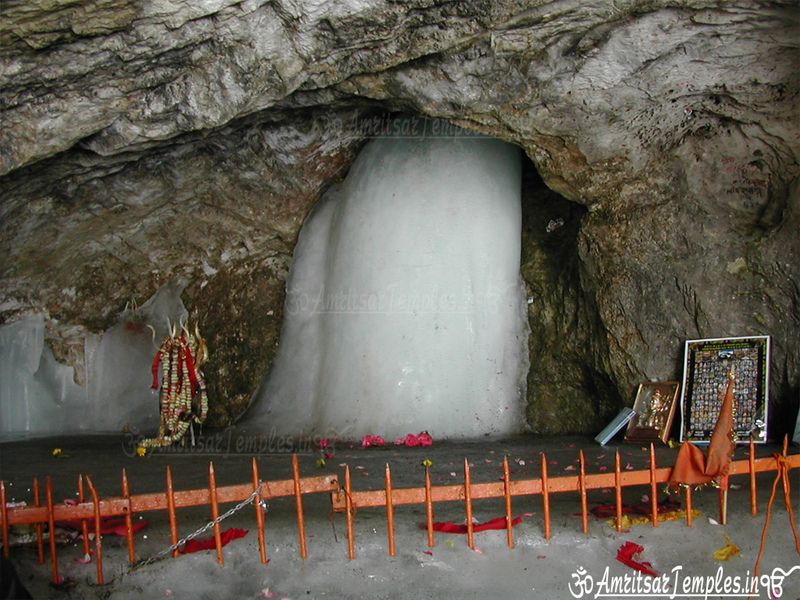 The trek to Amarnath, in the month of sharavan ( July–August) has the devout flock to this incredible shrine, where the image of Shiva, in the form of a Lingam, is formed naturally of an Ice Stalagmite, which waxes and wanes with the Moon’s cycle . By its side are fascinating, two more Ice Lingams, that of Maa Parvati and of their son, Ganesha .